Home | Re-earth the Cities! 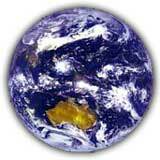 | The Permaculture Journey | The RainbowWeb Story | Sustainable Solutions | You Can Save the Earth! Many nutritious plants that are not commercially grown have become unfamiliar to the cooks of today. The leaves & stems of sweet potatos, for instance, are a valuable source of nutrients, & can be used throughout the season, without diminishing the production of tubers. The foliage & flowers of many other plants grown in affluent countries only for their fruit or tubers, or even as ornamentals, often make a nutritious addition to the diet. There are many leafy greens, including weeds & perennials, that are easier to grow, requiring less care & often less water, than familiar annuals, such as lettuce, English spinach, broccoli & cabbage. But with these, as well as all other foods new to you, a little care needs to be taken when introducing them to your diet. Anyone can have a sensitivity, intolerance, or even an allergy, to any food. So it makes sense to take the trouble to find out how to prepare and/or cook foods new to you, and to eat only a small quantity at first. These are some websites that list and/or give information about food plants. But not all give reliable information on preparation & cooking. Once you have identified a plant you want to try, look for information on the individual species (similar to that about sweet potatos contained in the publications linked above). Use reliable sources, such as government or FAO sites. There is a great deal of valuable research being carried out by these & similar bodies, aimed at increasing the diversity & reliability of the world's food sources. The majority of food plants, including those in common use, contain varying quantities of anti-nutrients, such as Oxalic Acid, (most leafy greens, including spinach), Phytic Acid (grains & pulses), Tannins, & Trypsin Inhibitors (most pulses). These are frequently eliminated, or their effects significantly diminished, by correct preparation & cooking, and/or serving them with natural "antidotes" e.g. serving spinach with cheese, or other calcium containing foods. In plants suitable for human food, the value of the nutrients they contain far outweigh the anti-nutritional factors, but correct preparation is important e.g. pulses should be soaked, then boiled rapidly for 10 minutes in water containing a little alkali like sodium bicarbonate before turning down the heat or tranferring to a slow or solar cooker. Grains are improved by soaking before cooking, sprouting, or fermenting, and flours by using yeast or sourdough as a raising agent. Correct cooking also increases digestibility, & the availability of some nutrients. or rhubarb leaves, safe to eat. When comparing plant lists you may find some edible plants also listed as poisonous. Some plants are indeed poisonous; many others are merely indigestible or just unpalatable. 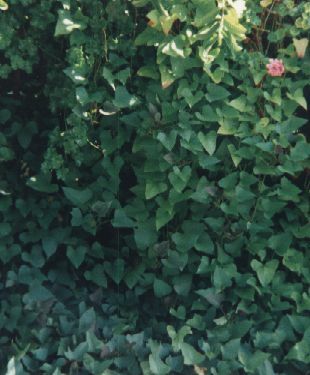 And many poisonous plants will give a healthy adult a hard time without proving fatal. There are degrees of toxicity, and a person's body mass, general health, and the quantity consumed all contribute to the outcome. Many commonly used plants provide nourishment & vital nutrients when consumed in moderation as part of a mixed diet, but if consumed in large quantities over a long period may have harmful effects. For example, when carrots are used as the main ingredient in a so-called therapeutic regime, the skin may become yellow & the liver be damaged, because massive doses of Vitamin A & it's pre-cursors are toxic. And most herbs & spices owe their properties to substances which are highly toxic in quantity, but which are harmless in the minute quantities used for flavouring. In war or famine zones ill effects may eventually occur when plants usually eaten in moderation are the only foods available. If a plant is unknown to you, don't eat it! unless or until you first positively identify it, then research it thoroughly before cautiously experimenting. This page is NOT intended as a reference to edible and/or poisonous plants. If you want to pursue the subject of survival foods, look for specialised material prepared by the various armed forces, emergency services, or other reliable source. Note: In researching & answering questions about earthwise living, Margaret offers information, opinion, & personal experience, but no guarantees! Readers should evaluate these offerings in the context of their own situation; they are suggestions, NOT recommendations. Any responsibility for their implementation rests SOLELY with the reader.